This is a main highway, the SS 429 between Pisa and Siena. The canopy trees are Pinus Pinea, Italian Stone pines. Video by John S. Quarterman, Molin Nuovo, Tuscany, Italy, 24 Nov 2010. This entry was posted in Canopy Road, Italy, Travel and tagged 24 Nov 2010, Canopy road, Italian Stone pine, Italy, John S. Quarterman, Molin Nuovo, Pinus pinea, SS429, Tuscany on December 13, 2010 by John S. Quarterman. This is the road that leads to the Necropoli, the ancient Etruscan tombs of Cerveteri, Italy, northwest of Rome. 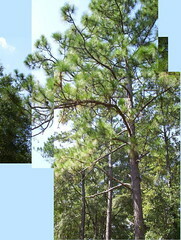 The canopy trees are Italian stone pines, Pinus pinea. Video by John S. Quarterman, Tuscany, Italy, 22 Nov 2010. This entry was posted in Canopy Road, Italy and tagged 22 Nov 2010, Canopy road, Cerveteri, Italian Stone pine, Italy, John S. Quarterman, Pinus pinea, Tuscany on December 11, 2010 by John S. Quarterman. This entry was posted in Canopy Road, Development, Economy, Safety, Travel and tagged access, arterial, bicycle, Canopy road, commercial, Community, crash incidence, cul-de-sac, empirical, engineer, Eric Dumbaugh, folklore, high density, local, neighborhood, pedestrian, research, retail, Revisiting the Relationship Between Community Design and Traffic Safety, roads, Robert Rae, Safe Urban Form, Safety, slower, streets, traffic, trees on September 21, 2010 by John S. Quarterman. Proposals for planting rows of trees along the roads — a traditional technique for shaping pleasing public spaces — are often opposed by transportation engineers, who contend that a wide travel corridor, free of obstacles, is needed to protect the lives of errant motorists. Increasingly, however, the engineers’ beliefs about safety are being subjected to empirical study and are being found incorrect. Eric Dumbaugh, an assistant professor of transportation at Texas A&M, threw down the gauntlet with a long, carefully argued article, ”Safe Streets, Livable Streets,” in the Summer 2005 issue of the Journal of the American Planning Association. A follow-up article by Dumbaugh, in the 2006 edition of Transportation Research Record, will present further evidence that safe urban roadsides are not what the traffic-engineering establishment thinks they are. This entry was posted in Canopy Road, Development, Economy, Safety, Travel and tagged access, arterial, bicycle, Canopy road, commercial, Community, crash incidence, cul-de-sac, empirical, engineer, Eric Dumbaugh, folklore, high density, local, neighborhood, pedestrian, research, retail, Revisiting the Relationship Between Community Design and Traffic Safety, roads, Robert Rae, Safe Urban Form, Safety, slower, streets, traffic, trees on September 20, 2010 by John S. Quarterman. We haven’t done one of these in a while: a video drive-through of a canopy road of south Georgia. 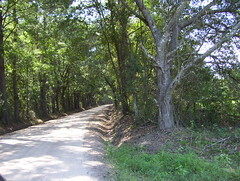 This one is Beatty Mill Creek Road in northeast Lowndes County. So far northeast its mailing address is Ray City. It’s not all canopy, but there are a number of stretches of it. Video by John S. Quarterman, 7 June 2010. This entry was posted in Canopy Road and tagged 7 June 2010, Beatty Mill Creek Road, Canopy road, Georgia, John S. Quarterman, Lowndes County, Ray City on June 23, 2010 by John S. Quarterman.